Classic Parker style. 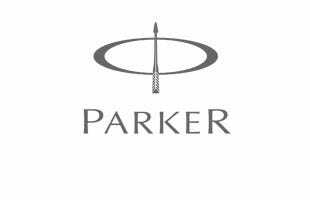 The Parker Sonnet rollerball pen has an ageless appearance, with an elegant profile and tasteful decoration forming a figure of unassuming beauty. The cross-hatch engravings in this Ciselé finish are filled with black lacquer for definition, whilst a little luxury appears in the form of 23k gold trim. Make handwriting a joy with this delightful Parker pen.